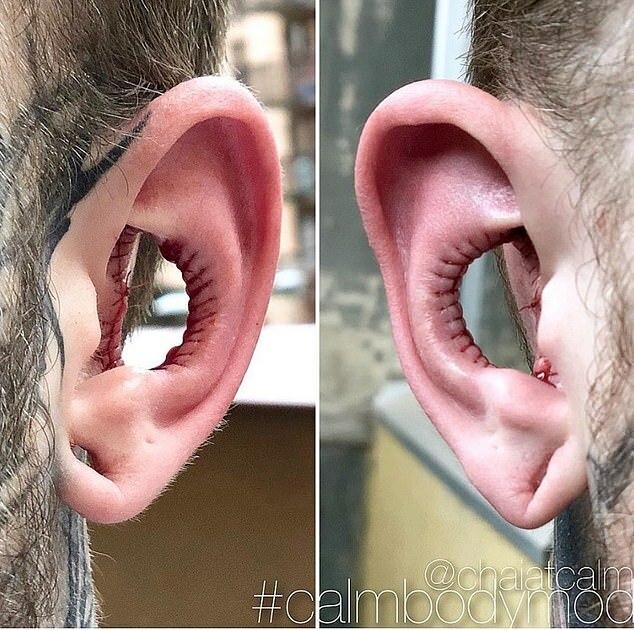 A young Australian man has had the inside of his ears removed to deliberately alter their cosmetic appearance and achieve a more unique look. 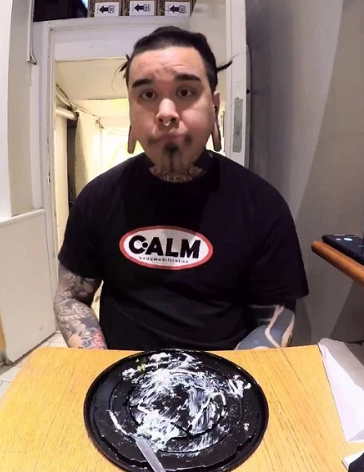 Body modification artist Chai Maibert shared a photo of the 'conch removal' on social media, which has since been shared by thousands and seen many users joke about the appearance of the man's ears. A 'conch removal', as its name indicates, involves surgically removing the concha, which is the central part of the outer ear - also known as the auricle or the pinna. 'Fresh #conchremoval on @charlesvbentley who traveled around the world from Australia to have this procedure performed by me at @calmbodymodification. Truly humbled!,' Mr Maibert wrote on his Instagram and Facebook. Issokay o! New trend!! Who is joining?